If industry experts are to be believed, the recently implemented goods and services tax (GST) regime might have inadvertently opened a channel for gold importers to launder money out of the country. Many bullion importers, it is learnt, have been exploiting the zero-duty facility under India’s free trade agreements (FTAs) with several countries for this purpose. According to an industry veteran who did not wish to be named, “under two treaties that India has signed with other countries – FTA and Comprehensive Economic Partnership (CEP) – gold can now be imported without paying the 10 per cent customs duty, as the 12.5 per cent countervailing duty has been subsumed in the goods and services tax (GST), which is 3 per cent for gold”. These importers prefer gold coins as they offer a greater scope for over-invoicing than gold bars. And, through over-invoicing, they are able to illegally send extra dollars out of the country. Since the rollout of GST on July 1, it is estimated that at least 2,500 kg of gold coins might have been imported so far from South Korea alone, at zero per cent duty. The government would have notionally lost a revenue of about $10 million which it might otherwise have collected in the form of basic customs duty and education cess. Assuming that these importers marked the imported gold coins up by 0.5-1 per cent, $500,000 dollars to $1 million might already have been laundered out of India. Most jewellery manufacturing units are now receiving Korean coins, instead of bullion bars, as the former come at a slightly lower price than the bank rate. Incidentally, a large chunk of the margin is consumed by importers, who pocket 9-9.5 per cent, a rate of return that is clearly very high for gold trade. At their level, most jewellers are not aware of the advantage cost advantage that importers enjoy. They were surprised to learn that their suppliers were making a killing and passing on very little to them. According to insiders, importers employ the following modus operandi to launder money by exploiting the zero-duty window: An importer registers an exporting company in Korea to source coins from the manufacturer, which would have sourced gold from the Indian importing company’s UAE, Hong Kong or Singapore arm. The cost of minting a coin is about 0.3 per cent, and the manufacturer adds a markup of say 1.5-2 per cent to that while making an invoice for the Indian importer’s Korea- registered company. The exporting firm then ships the gold coins to its Indian sister company by adding another 1-2 per cent. 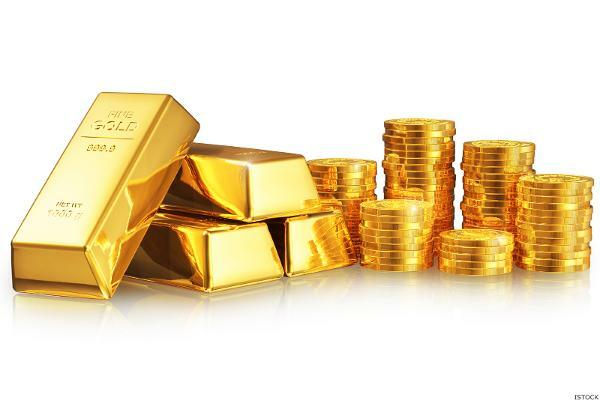 As the room to price the exporting gold is very wide, given the 10 per cent duty differential for bullion imports, it is easy for the Indian importer to over-invoice and make the payment officially through a valid banking channel. Unfortunately, banks fail to do due-diligence, as it is difficult for them to estimate the exact value.